« Gospel Feet 5K 2017- Are you READY? 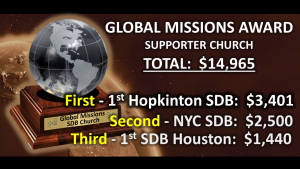 The First Hopkinton SDB Church, Ashaway, RI was awarded the “Church Missions Supporter Award” for 2017 at General Conference. 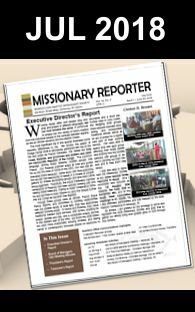 For a few months starting in March 2017, churches were encouraged to target raising a minimum of $1,000 to help shore up the Society’s capital fund that helps with office expenses and transportation costs when staff travel to preach, teach & work out the specifics of projects with different SDB ministries in North America and globally. 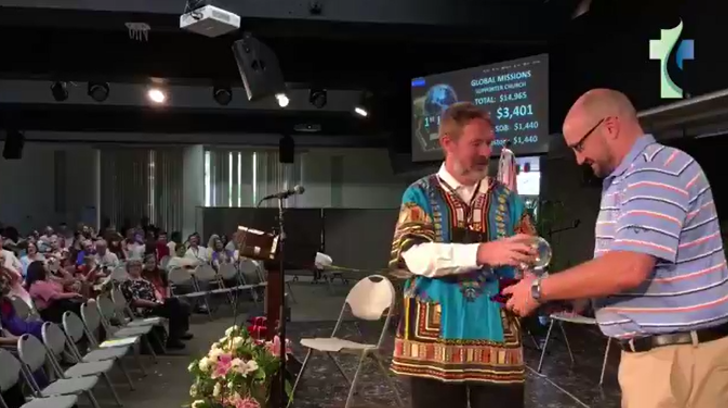 For this fund raising campaign, the church raising the largest amount was to receive the first time Church Missions Supporter Award. A grand total of $14,965 was collected, glory to God! 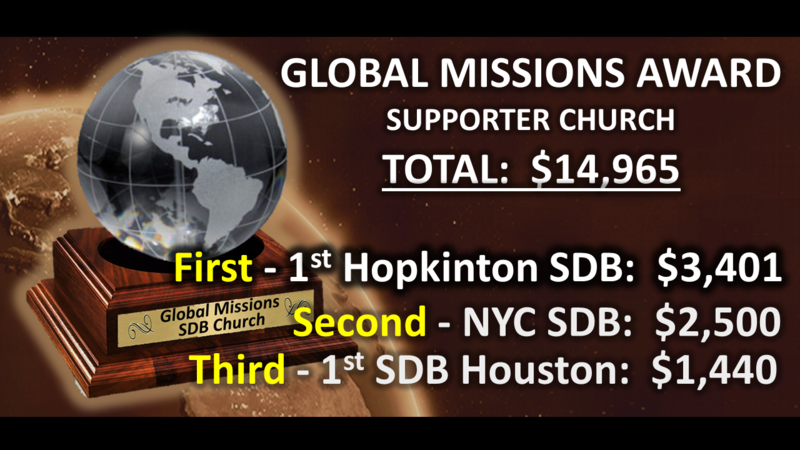 In first place was First Hopkinton SDB Church with $3,401, second NYC SDB who raised $2,500 and in third place was First SDB Houston with $1,440. Congratulations to all who supported the work of the Missionary Society through this campaign, you contributed to the ultimate winner – The Kingdom of God!